An annual event for design professionals is ‘Design San Francisco’ which this year is on February 4 – 6, 2015. I attended a meeting at the Benjamin Moore Showroom where they unveiled the color of the year for 2015! This is not a new Benjamin Moore color. I’ve used it for many years and even used it on the walls in my own family room back in 2008. 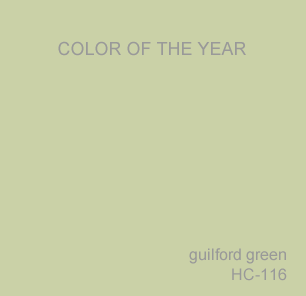 I have a new home these days with a new blue color on my family room walls… But, I can share from personal experience that Guilford Green HC-116 is a very easy color to live and work in. I have many reasons for suggesting green for a client’s home. In the home office, it conjures of feelings of wealth and success. Green is the color of money. In the bathroom, it reminds us of meadows and trees surrounded by calm waters. 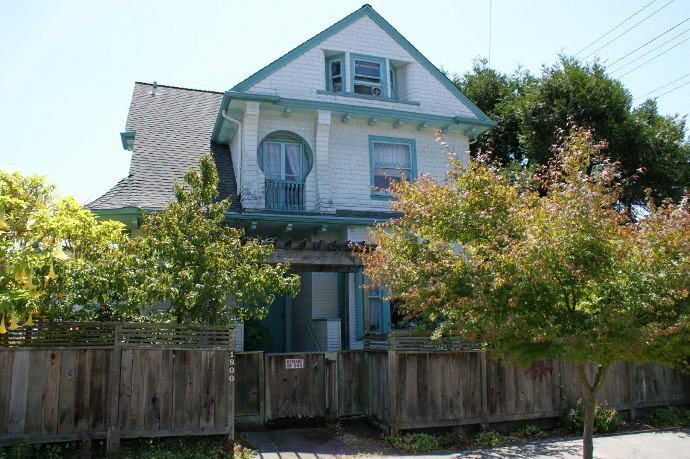 More recently, I used Holingsworth Green HC-141 on the exterior of a home in Berkeley. Guilford Green graced three walls in my family room in 2008. Before Shot of my Client’s Berkeley Home. which has less yellow in it than Guildford Green. Personally, I found the rest of Benjamin Moore’s Color Trends for 2015 much more exciting! Here are a few… Carter Plum CW-355 is a fabulous deep, dark raspberry and I have always thought Silver Fox 2108-50 had a masculine edge to it. Isn’t Split Pea 2146-30 funky?! Try using a pop of color in the furthest room, when you can view multiple rooms through doorways. It will invite you and guest to explore. Use all of the shades of green in Benjamin Moore’s Color Trends 2015 to create a monochromatic color scheme. 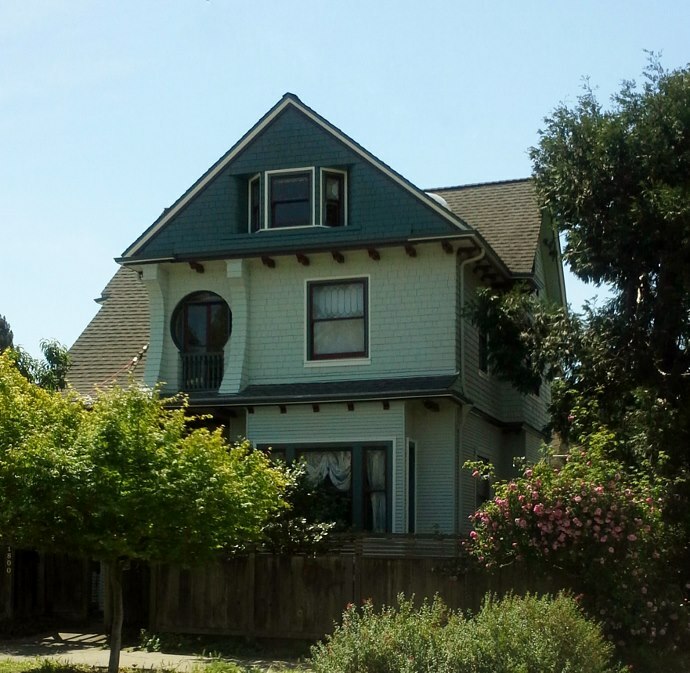 Try using blush hues if you have a historical home. They whisper of romance and opulence. Use a range of colors from bold to blush in the same family, such as Old Claret 2083-30 and Pink Damask OC-72. It is like going on a graceful journey. Consider accenting with Guilford Green HC-116 in every room. 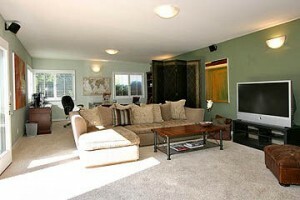 Make it your signature color and it will ground your rooms and provide a cohesive look and feel throughout your home. Color is all about graceful flow throughout the home in 2015! Crystals Swing from the Chandelier!